The joy after our scare! Nalin and I left Karma Guen bright and early, not too early for Jose though, so we shared breakfast with her before creeping out without waking anyone else! We had a quick meditate and walk around the Stupa before driving to the airport where we arrived safe and sound. It was then time to hop on an aeroplane to Tenerife (north). The flight was bumpy and crowded but we used this time to meditate, sleep and listen to Ted Talks. 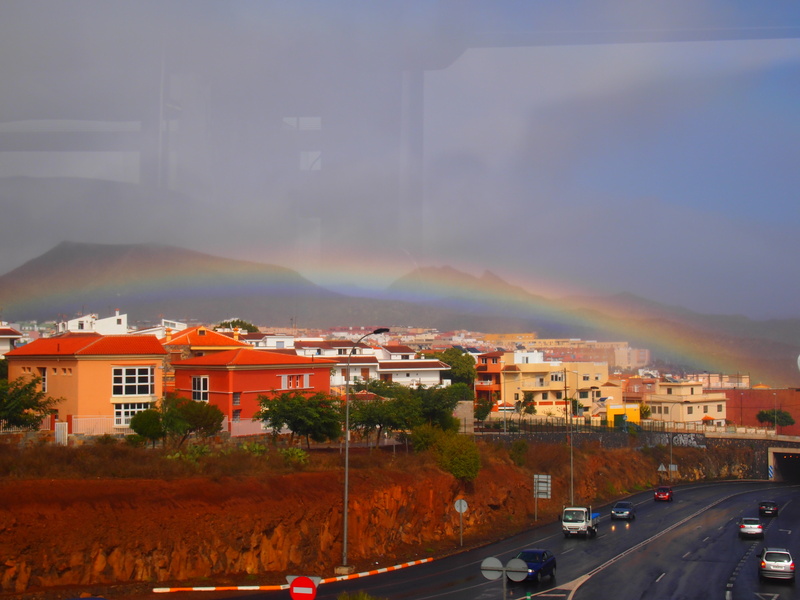 On our arrival to Tenerife we encountered a set of mini dramas and class calls…the first of these being we hopped on the bus going in the wrong direction. When we got off in Santa Cruz (the opposite side of the island to where we wanted to be) the driver told us to hop on another bus…this we did. Just as we were turning entering the main street away from the bus station Nalin suddenly realised that we had left our backpacks (full of important things like this computer) on the other bus! We quickly asked the driver to stop and while I ran back to the bus Nalin got our luggage (from underneath); luckily for us the bus hadn’t left and our bags were still there…phew! 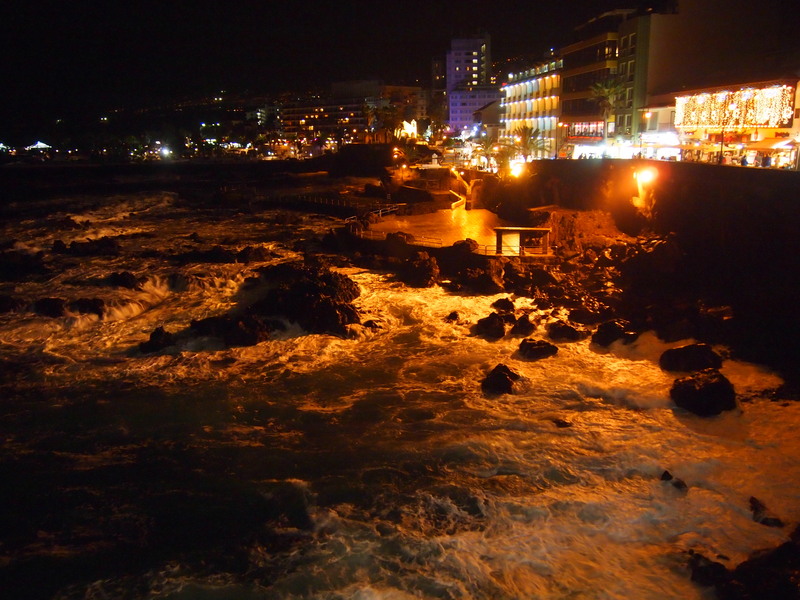 We eventually arrived in Puerto De La Cruz where Nadine (Nalin’s friend) met us and walk us to our hotel. We then went to her place where we had a tapas lunch on the balcony! It was lovely and before we knew it the time was 6pm! Nadine’s Australian neighbour then gave us a quick night tour of the town, we had a beer at a bar by the water and learnt many things about Tenerife – all of which I am sure you can research on the internet if you desire!